Trumbull, CT – April 2, 2019 – TMC (News - Alert) today announced IT Glue has joined MSP Expo held April 24-25, 2019, at the MGM Grand in Las Vegas, Nevada. MSP Expo brings together telecom MSP professionals and thought leaders to network and explore the latest innovations and business practices. MSP Expo is co-located with ITEX, the largest and most extensive national trade show connecting vendors and resellers in the office technology space. Luis Giraldo, VP, Product at IT Glue will explore the how to build saleable systems and processes during the session, “Building a $1.2MM MSP with Two People,” taking place Thursday, April 24th at 11:00 AM. 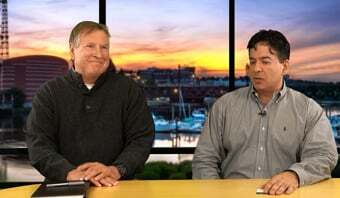 Here, Luis will offer insight into running any MSP to its fullest potential through a case study featuring a two-person MSP that has grown to $1.2 million. 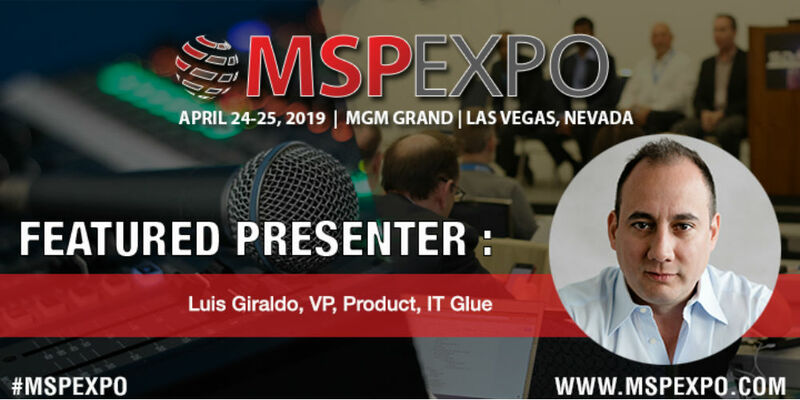 "IT Glue is thrilled to be a part of MSP Expo this year", says Giraldo. 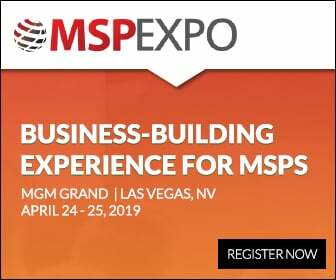 "Our partners are always striving to deploy best-in-class practices and strategies in their businesses, and we're positive that MSP Expo will deliver just that. I've had some valuable experience building an MSP from a small, nimble operation into a thriving practice, and sharing my learnings and hindsight is something I love doing - I look forward to bringing these stories to the MSP Expo audience, and perhaps even an update on the MSP in question!" IT Glue is a Platinum Sponsor of MSP Expo Las Vegas which is also supported by gold sponsor, Dell and exhibitors Concertium, Interwork, Kaseya (News - Alert), Stellar Cyber, Tools4Ever, TouchTone Communications, Unitrends, Untangle, Webroot and over one hundred more. Registration for MSP Expo is open, for more information, email events@tmcnet.com. For media inquiries, contact Jessica Seabrook. Companies interested in exhibiting, sponsorship or advertising packages for ITEXPO (News - Alert) should contact TMC's Joe Fabiano at 203-852-6800 x132 or Maureen Gambino at 203-852-6800 x109. IT Glue is a Software-as-a-Service (SaaS (News - Alert)) company based in Vancouver, Canada that provides a simple and secure IT documentation platform for MSPs. The solution allows MSPs to document applications, devices, passwords and other IT assets centrally and in a standardized manner, enabling critical information to be stored securely yet easily accessible by those who need it, whenever they need it. IT Glue currently has over 6,000 partners in 36 countries, serving over 100,000 users and 500,000 businesses globally. For more information, visit: https://itglue.com/ and connect on LinkedIn (News - Alert) and Twitter.